I always assume large, multinational corporations have a lot of money, but apparently McDonald's doesn't seem to be able to afford a proofreader for something as simple as a temporary sign. 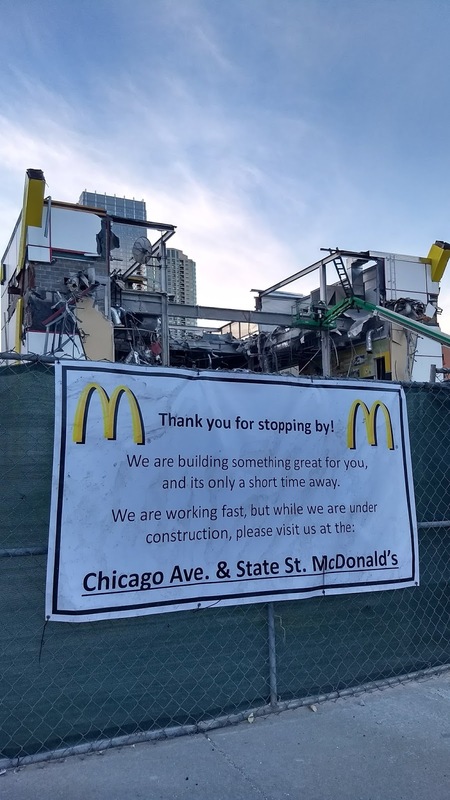 I was walking by the torn-down Rock 'N' Roll McDonald's and saw this sign: do you see the mistake? Answer: "its only a short time away," which should be "it's [as in "it is"] only a short time away." It's incredible that people from a company where the CEO has a compensation package of over $15 million can't afford to peel off less than $100 to hire someone to proofread their signage. Yes, I make mistakes at work, and even here (about which comments have been made), but I'm usually writing well over three sentences, which is all this sign has. It probably would've taken 15 minutes to check this sign before it went to the printer, yet they didn't bother to do such work. So I guess McD's still needs some help, even though their profits went up. I wonder if I'm the only one who noticed this.